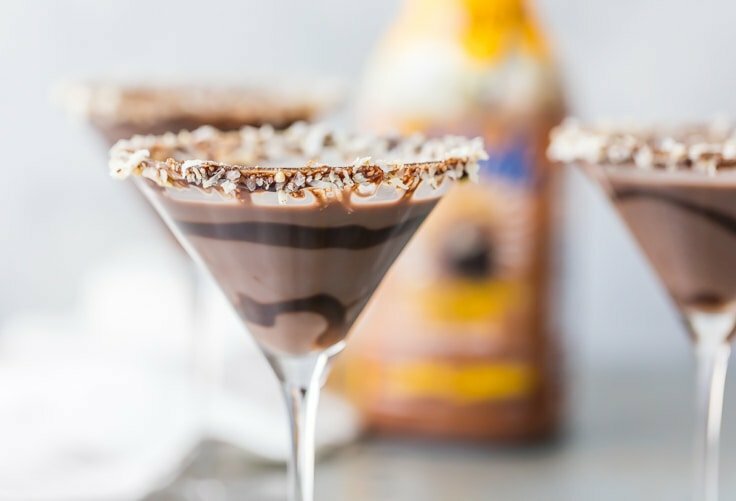 This German Chocolate Cake Martini is the perfect dessert cocktail recipe! 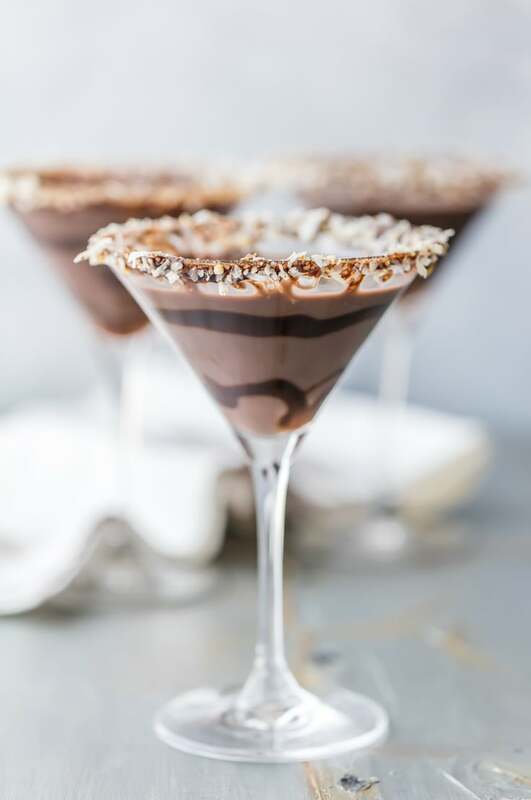 Tastes like you’re taking a bite out of your favorite cake, in martini form. Now, convention tells me I could make this with regular ole’ chocolate milk, but what fun would that be? NO FUN AT ALL! 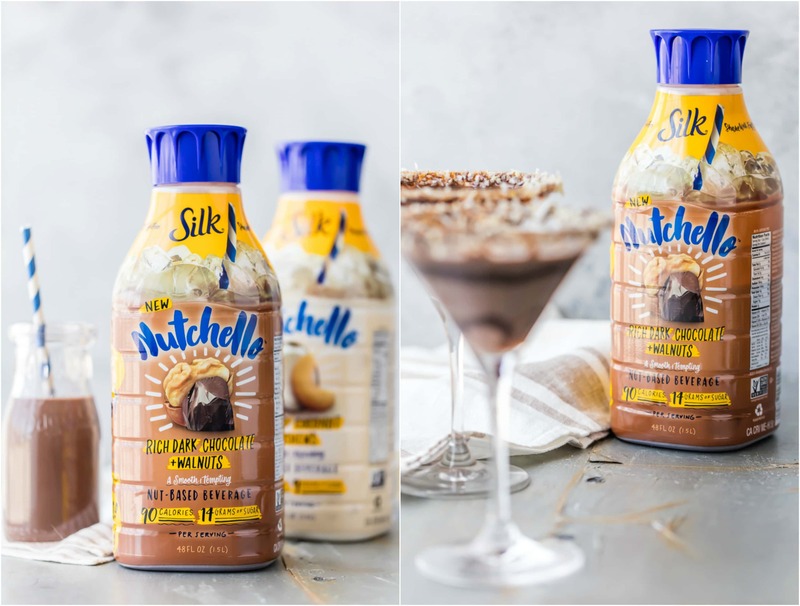 When I saw Silk’s new Nutchello on the shelves at the grocery store, I knew it was practically made for this German Chocolate Cake Martini! I love all the flavors (Caramel Almond Cashew, Toasted Coconut and Cashew, and Rich Dark Chocolate and Walnuts), but the Rich Dark Chocolate + Walnuts is my favorite. It takes me back to my chocolate milk after school days. Only this version only has 90 calories and feels much more grown up somehow. It is SO ADDICTING you guys! 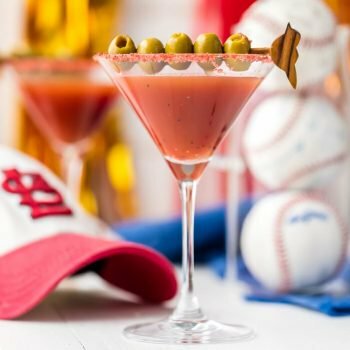 It’s a must try on its own and a must have in this cocktail! 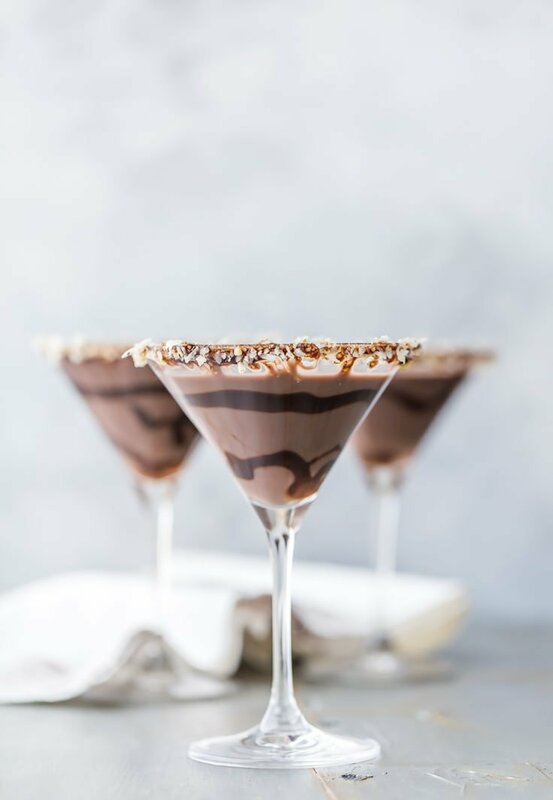 This may be one of my favorite martini recipes! 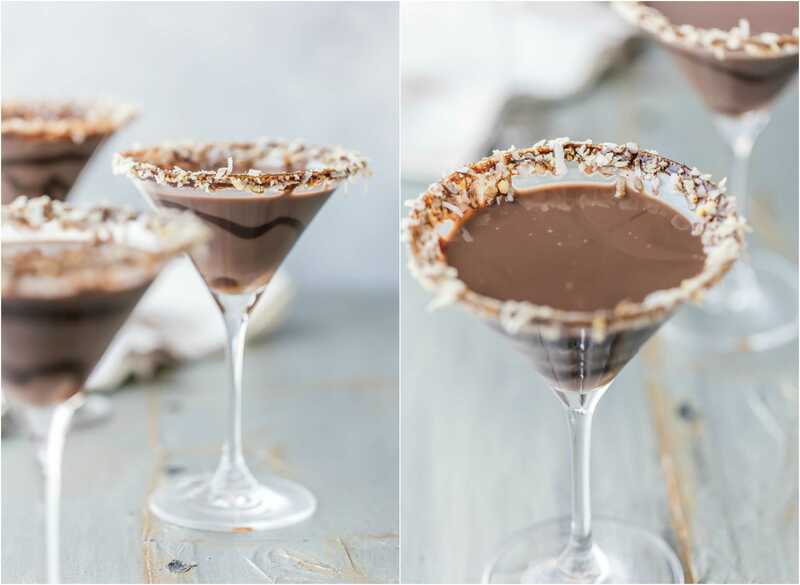 I’m telling you that these chocolate martinis taste like heaven! 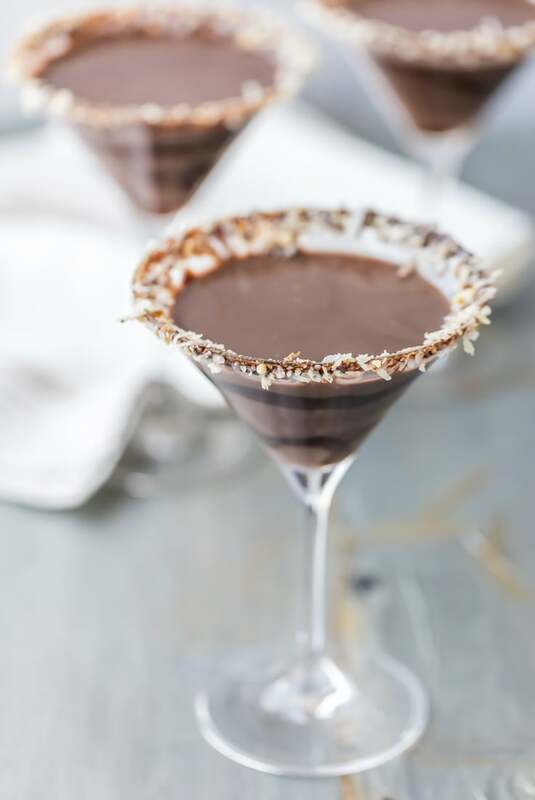 Sipping one of my favorite desserts in drink form is the perfect ending to any day, especially #thirstythursday! 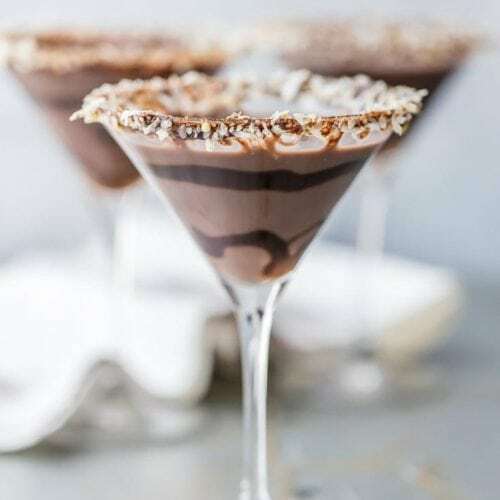 I love your martini ideas! How great is it that we get to combine not one, but two great things at once! Cheers! Gorgeous! Such a fun idea! This is what I need right now. A couple of these would be just perfect. Very creative! Are you even kidding me with this?! Trying this WEEKEND!! Hip, hip!! A martini never looked so good! 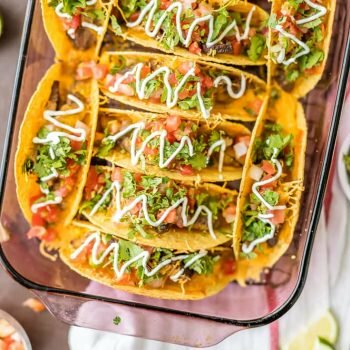 This is so fun and yummy! Whoooa. Nutchello?! How have I not heard of this?! I have to get my hands on some! And this martini looks delicious. Becky, is it wrong to want this at 8 this morning? It looks fantastic! Such a great looking cocktail. I’d love this right now! Really nice this post and chocolate ice cream taste very excellent. Thank you.